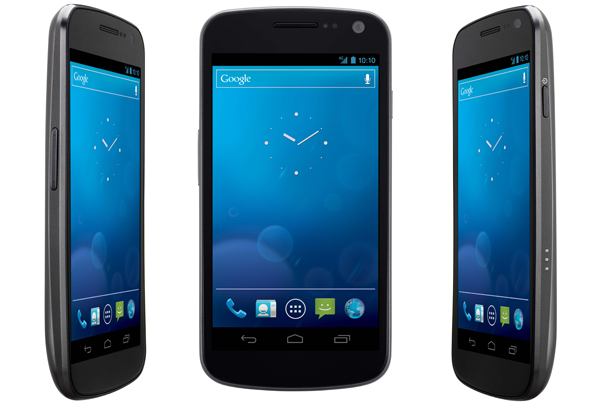 Sprint customers the wait is over: The Samsung Galaxy Nexus will be available on Sprint for $199 starting on April 22nd. The Sprint version of the Galaxy Nexus ships with Android 4.0 (Ice Cream Sandwich), and will be compatible with Sprint's LTE network. Like the Samsung Nexus S, the Sprint Galaxy Nexus will officially support Google's mobile payment system, Google Wallet. I got a hands-on with the Sprint Galaxy Nexus at CES, and found it to be nearly identical the Verizon version. The phone features a 1.2 GHz dual-core processor, a 5-megapixel rear-facing camera, and a 4.63-inch 720p display. Since it's a Nexus phone, Google will be the one issuing updates--meaning that your Galaxy Nexus will always have the latest version of Android running on it. If you're interested in the Galaxy Nexus and want to make sure you get one on the day it's released, you can pre-order the phone through Sprint's website. Pre-ordering today gives you the chance to get the Galaxy Nexus two days early, meaning you can flaunt it to those friends who waited on getting their orders in. As an added bonus, Sprint is offering an extra $40 in credit to anyone that activates the Google Wallet service on their phone within a week of receiving their Galaxy Nexus. So if you've been itching to get your hands on the phone we rated best Android phone and best smartphone overall, get in line and place your order now.